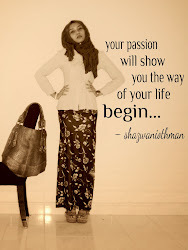 Shazwani Othman: Why So LIAR? Sometimes.. You don't have to be a liar to get something that you want. Be honest. Don't say 'DONE' for something that you never 'DO'. Andd... Don't say 'YES' for something that you never 'MAKE IT'. Get my word? Everyone hate liar. Same goes to me. Same goes to you too, isn't? macam mana tahu dia tu penipu? bukti melalui kata2 atau nampak jelas melalui tingkah laku?